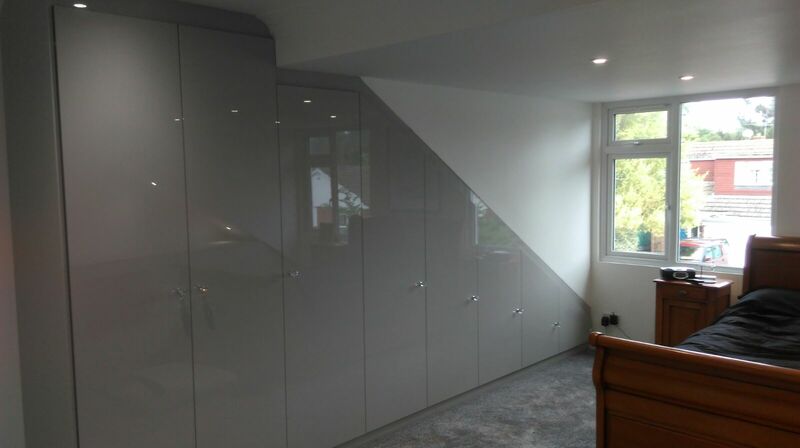 Modern built in wardrobes designed & fitted into difficult angled room maximising storage space. Based from our showroom in Ashford, the WOW Interior Design team happily travel to homes across Kent, Sussex and South London to quote, design and install fitted bedrooms, kitchens and more. Not everything available is listed on our website, so if you are looking for something specific, get in touch to discuss your bespoke requirements!